If you're bored of your breakfast, try this new make-ahead option. I love breakfast food, but sometimes, it can seem like there are only 3 options: oatmeal, smoothies and smoothie bowls, or veggie scrambled eggs. Enter the Superfood Breakfast Bowl. I’ll be posting a series of these slightly unconventional veggie-packed bowls, to jazz up your mornings. 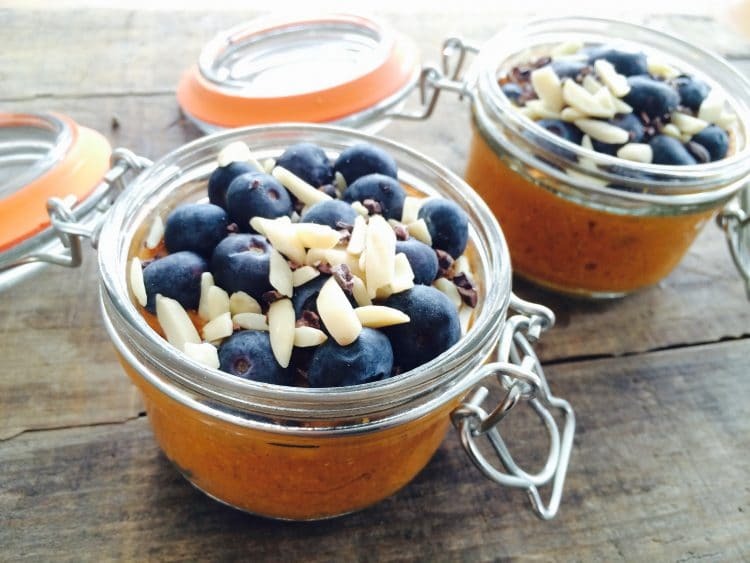 If you want a quick, grab and go breakfast, consider making 3-5 of these for the week, as they should last up to 5 days (just don’t put blueberries on any jars for the end of the week, as they typically go bad a bit faster, in 2-3 days). 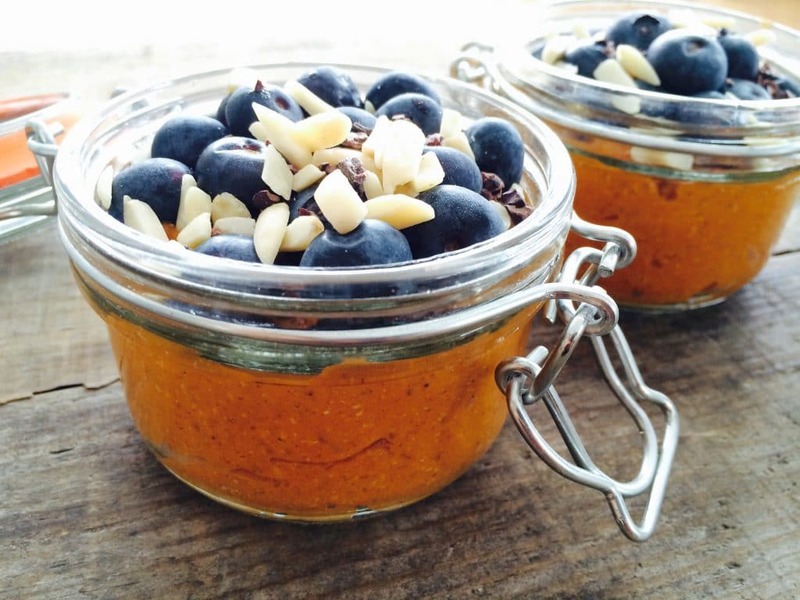 Spoon sweet potato pudding into a glass container, top with 2-3 toppings. Cover and refrigerate at least 1 hour, until ready to eat. **My favorite combo is blueberries, pumpkin seeds or almonds, and cacao nibs. But, feel free to throw on whatever you have on hand. ***To liquify coconut oil, place the glass jar in a warm water bath, or simply scoop out the amount of oil you need, and warm that in an appropriate container in the microwave or stovetop. When covered and refrigerated, this should last for up to 5 days. Tried to download 3 day Real food Challenge. Most frustrating as I just keep receiving the same sweet potato pudding over and over again!!! !